Her famous teacup and saucer headpiece was certainly intriguing. I attended the J & B Met myself (See my article on it HERE) and I heard about it via the whispers of my friends at the event this year. To be honest, the fashions that rock up on the day are the hot topic on everybody’s lips. Yes, the horses are an ingredient and certainly the bets taking place can be dizzying… but on top of that, each attendee tries to guess who designed what outfit and who they think should win the coveted title of ‘Best Designer’ for the day. 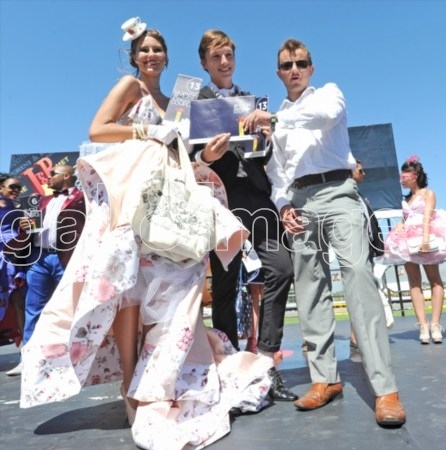 Whether you were watching SABC 3, Top Billing, The Expresso Show, All Access or simply reading the Cape Argus for a recap of the famous horse-racing event, you would have seen the winner, Jelena Jablanovic. A young and sassy design student, Jelena certainly made herself proud that day with her oufit designed to the theme ‘Made Different’. Jelena ‘made different’ with a unique idea sparked off by seeing a vintage teacup and saucer one day. It proved to be the winning ticket for judges, who judged her designer dress and signature accessory as the best over many other contestants who entered. 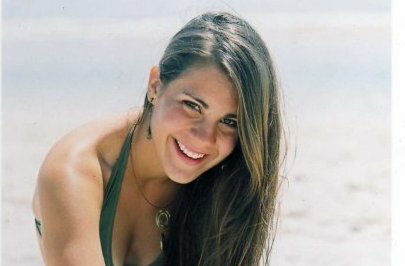 I met with her at Truth Coffee Bar in Greenpoint for an interview. Jelena: I was born in Johannesburg but I’ve been between Cape Town and Johannesburg my whole life. Jelena: I went to Milnerton High and I’m now studying my B/A in Fashion at Fedisa Fashion School here in Cape Town. I’m in my final year. Jelena: Technically at Fedisa, but I’ve been designing stuff as a passion since I was in grade 5! I’ve always known this is what I wanted to do. Tamika: Do you have a label? If so, where can we find your clothes? Jelena: Yes I will soon be coming out with my own label called “Mossolena” – ‘Mosso’ meaning “motion or movement in a direction” in Italian and ‘Lena’ being the end of my name. It will be a swimwear label, very much designed to make women beautiful and accentuate the good parts of the individual’s body. I’m all about making things around me more beautiful. It will be out by the 2012/2013 Summer season. It will be an online store to begin with. Tamika: Stunning! So what are your influences mainly? What are you inspired by? Jelena: I’m inspired by life. I have strong influences from architecture and interior design. 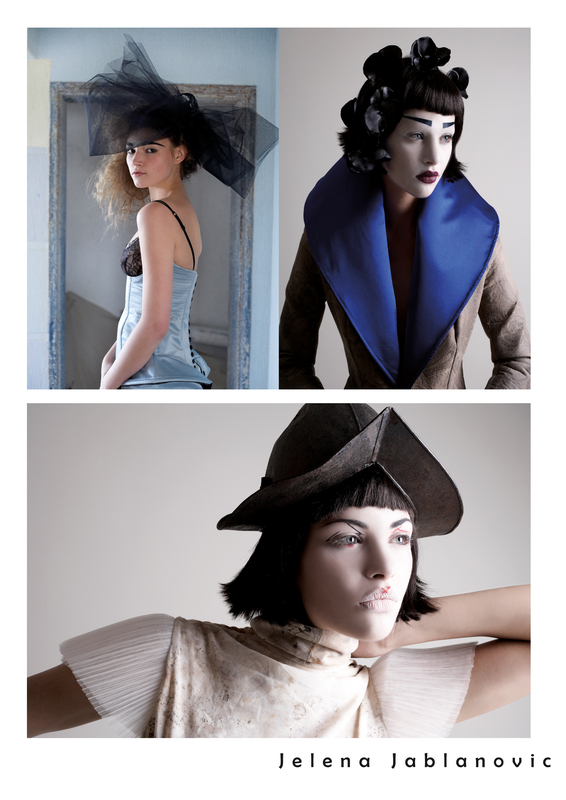 For my graduate collection this year I am inspired by Playstation and especially the game Assassin’s Creed. The work that gets put into the game and graphics inspires me and I’m going to design my clothing to have a modern day yet historical element. I want my pieces to be avant-garde as a whole but as you strip down the outfits, each piece is a commercial piece of clothing making up the whole. Tamika: Tell us about the J&B Met win! Jelena: Well it started out as just a project at Fedisa – for students to design dresses for the Met. We were told they would be judged in a final fashion show at the school and whoever won would be entered into the competition at the Met. I won the competition within the school and so I was entered…. I must say that after seeing the brief ‘Made Different’ I adapted my design slightly to fit the theme. That’s where the teacup and saucer came in as a quirky headpiece! The J & B Met competition is open to any designer, including couples who just happen to come up with a clever outfit. So there was stiff competition and I must say, I didn’t think I was going to win! Tamika: So what exactly did you win? Jelena: I won a 3-night stay at the Tinga Game Reserve up in the Kruger National Park. I won Givenchy vouchers to the value of R5 000. And I won loads of girly stuff, including facials, hair products and beauty treatments! Tamika: Wow! So what’s in the pipeline for you at the moment? Jelena: In the pipeline is my Fedisa graduate show. That’s in November. And also on the cards for me is a shoot with renowned South Africa photographer Richard Keppel-Smith. I dabble in styling and art directing, so I’ve worked with some incredible mainstream fashion photographers on commercial shoots. I’ve worked with Kristina Stojkovic in the past and I just find I have a passion for being involved in shoots – whether for advertising, potraits or editorials – and it’s a sphere of my life I see myself developing this year. 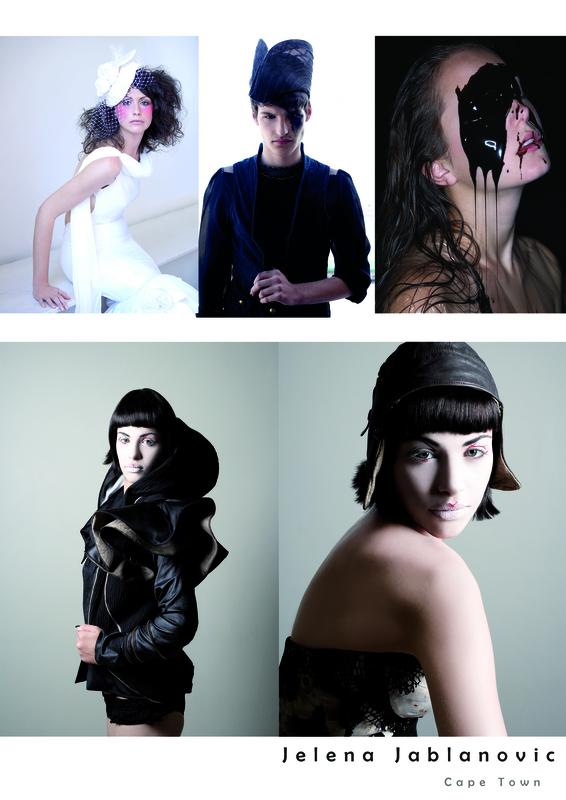 Also in the pipeline is continuing my work at Scalini – an Italian Fashion House in the Cape Quarter and Jarvis Street. Jelena: Haldane Martin, a local designer in Contemporary South African Furniture Design. Jelena: Yes I am! There is still so much to experience here. I would, of course, love to travel and look into internships overseas… But it would be with the goal of bringing what I learn over there back here. Jelena: I like Jade, The Fez, Trinity and The Reserve! Jelena: A sewing machine! Oh, and my visual diary. Jelena: Yes, a younger sister and brother. Jelena: My parents are pitbosses at The GrandWest Casino. And my dad also has an online gambling business. Jelena: Ha! That would be varisty, varisty, varsity! Classes and working on up-coming assignments. I like to walk my dogs when I have time in the day and also design for my Swimwear label. Jelena: Still doing what I love; making things beautiful. I would like to have my own store and be a successful art director. Jelena: My animals are my babies!! Jelena: The promenade along Mouille Point. Jelena: I work for the SPCA when I can and I also volunteer at a children’s creche.